Far from the dismissive accusations of hipsterdom often associated with the term ‘post-black metal’, the description is rather loose, applicable to bands new and old; a horde of artists who took the second wave of black metal’s conventions and broadened their horizons, evolving past the genre’s limiting conservatism. Modern black metal has become an aesthetic within which a multitude of ideas can be expressed, and has proven surprisingly conducive to experimentation, contrasting in magically diverse permutations with everything from electronica to shoegaze, and proving beyond doubt that ours is a movement at the very forefront of wider musical evolution – something to be proud of, not to dismiss. Here are the albums that prove it. A singular talent, Ihsahn has played a major role in black metal’s evolution, firstly as leader of Norway’s influential Emperor, who demonstrated over four increasingly progressive studio albums the genre’s evolutionary potential, pushing its limits of technicality and symphonic bombast. When the constraints of the genre became limiting, Ihsahn went solo. His third album After nails the formula, retaining black metal’s core elements, but fearlessly melding them with a diverse multitude of influences that reaffirm how musically ground-breaking extreme metal can be. Another legendary band that for 23 years have repeatedly transgressed metal’s sometimes self-imposed boundaries; Ulver’s sonic palette across their 12 albums has taken in everything from orthodox BM on cult favourites Bergtatt and Nattens Madrigal to electronica and maddening drone experimentation with Sunn O))) on Terrestrials. An elusive band that do everything completely on their own terms, their releases are always an esoteric experience. Formed originally by members of Ulver, Emperor and Mayhem, Arcturus were tearing out the pages of black metal’s supposed rulebook in the ‘90s even as they were still being written. Always conceptually out there, the band, dressed as interstellar jesters, thieves and vagabonds, brought a sinister sense of theatricality, rife with bizarre personality quirks to black metal, celebrating the darker side of life, and laughing hysterically at those who take it all too seriously on an album way ahead of its time. Another band whose life began as part of black metal’s second wave, Enslaved’s rasping take on the ancient Norse mythology of their homeland gradually evolved beyond their roots, the band finding the courage to express their love of classic rock, prog and metal alongside their extreme tendencies. Isa is the album on which these influences all really clicked. Celebrating 25 glorious years, their music reaches beyond space and time to explore the profundities of the human condition – where we’ve come from, and where we’re going. Who knows where they’ll go next? One man band Tamás Kátai has been blurring metal’s boundaries since 1998, effortlessly combining everything from doom to pulsating electronica on this year’s knowingly titled Meta, to thrilling effect. Kátai’s sonic experimentations prove that post-black metal isn’t some trendy new tag for young upstarts, but merely the latest incarnation of a lineage of avant-garde experimenters who have had the courage to step through the portal black metal created and explore its limitless potential. Escapism at its most potent, within these fearless soundscapes anything and everything is possible. Brothers Aaron and Nathan Weaver are attributed with being the first American black metal band to kick start a nowadays flourishing US scene. Wolves In The Throne Room harnessed the primal potency of second wave black metal and rephrased it, by way of influences from folk to crust, for a new generation, as fervent in their worship of the landscapes of their beloved Pacific Northwest as they are at other times cosmically transcendent. Unafraid to break the ‘rules’, the band proved they were willing to broaden their sonic horizons with the release of Celestite in 2014, an ambient companion piece to their celebrated fourth opus, Celestial Lineage. Alcest mainman Neige describes their pioneering blend of shoegaze and black metal – a very much in vogue combination adopted by many in their wake – as a happy accident, an evocative blend that came about as a result of his long search for a sound that would accurately express otherworldly sentiments. Responsible for proving that black metal can convey emotions other than hatred and misanthropy, they are ever an emotive proposition, never moreso on Kodama, an album that unifies their past experimentation with a bold vision for the band’s future – wistful, haunting and nostalgically uplifting, but at times ominous. 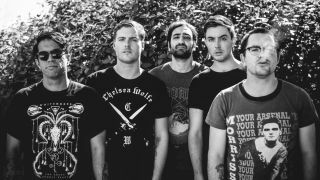 San Francisco’s Deafheaven took the spotlight with 2013’s Sunbather, a record that took Alcest’s gauntlet and ran with it, attracting a legion of fans to extreme metal that may otherwise never have bothered with it, with a scintillating blend of caustic extremity and indie arthouse/shoegaze influences. Where much of black metal has in the past been associated with themes of nature, Deafheaven’s music was stark and urbane, the sound of asphyxiation in claustrophobic city streets; instantly identifiable to anyone trapped in the barrage of modernity and desperately seeking escape. Iceland’s stunning, otherworldly terrain, where fire meets ice at the edge of the world, has created a unique musical landscape. With a population so small, bands of all kinds gig together, creating a wonderfully open-minded approach to composition that results in the likes of Sólstafir, who have resisted attempts at definition since their 1995 inception, growing into something profoundly emotional. Incorporating elements of black metal, hard rock, prog, and folk, these travelling shamans prove an unforgettable experience, excelling in taking black metal’s altered perspective upon life in diverse and enlightening directions, reaching their largest audience yet with masterpiece Ótta. Taking black metal’s potential for mental and spiritual transportation a little too literally, Finland’s Oranssi Pazuzu grew from the potent musical hotbed of their hometown Tampere to add a little colour into the genre’s two-tone palette. They added more than colour on the manic vortex that is Värähtelijä, unifying far-out space rock with jazz’s lawless aesthetic on a kaleidoscopic musical journey as terrifying as it is psychedelic. Oranssi Pazuzu seem determined to make you look at life from an alternate perspective; if you can find the courage to do so.